The great ship Queen Mary has been part of Southern California’s treasures since the City of Long Beach acquired her in 1967. Long Beach then spent several million dollars to prepare her for the waiting public. Her grand California debut was on May 8, 1971. The Queen Mary is a remarkable floating hotel, complete with 314 comfortable guestrooms and suites – all of which were first class cabins when the mighty Queen sailed the seven seas. There are also six fine restaurants and a splendid gallery of shops and boutiques. 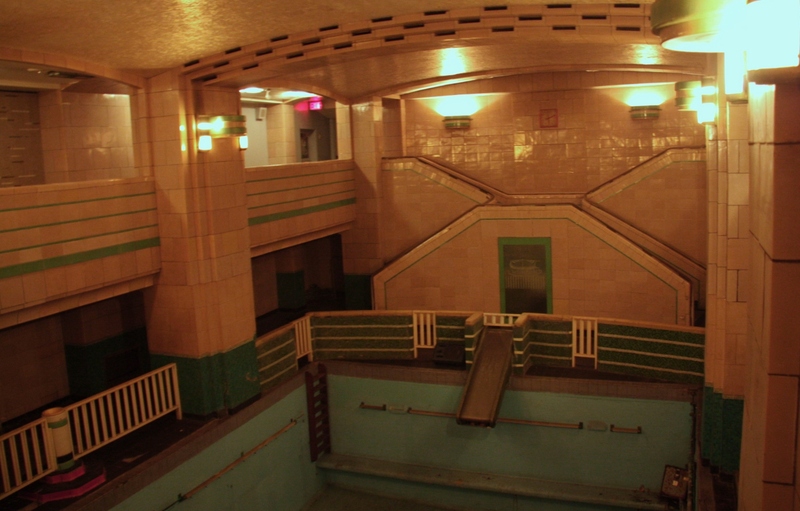 During cold days on the North Atlantic, passengers could enjoy a plunge in the indoor pool. Shipboard activities now include several interesting tours, and top-notch museum attractions. 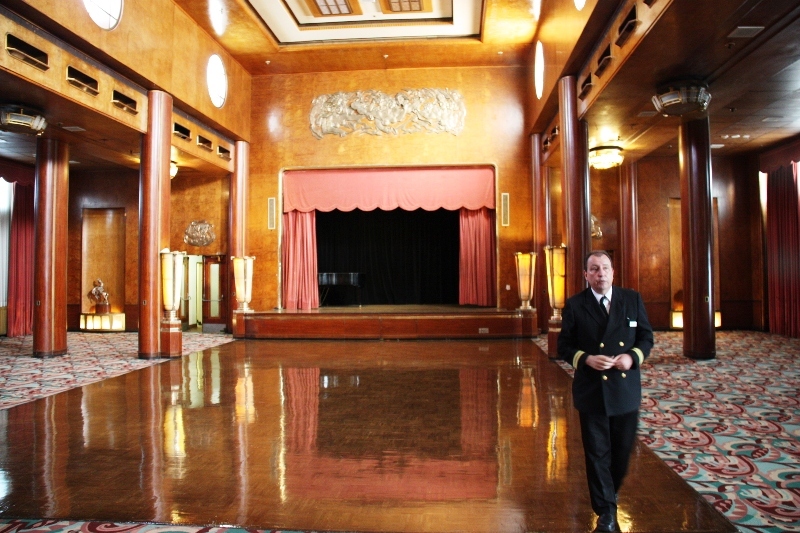 Opening the door to a Queen Mary guestroom is like taking an imaginary step back in time. Some of the original metal fans that cooled passengers before the advent of air-conditioning are still affixed to cabin bulkheads. The old salt-water bath fixtures are still present and decorate the seafaring bathrooms. 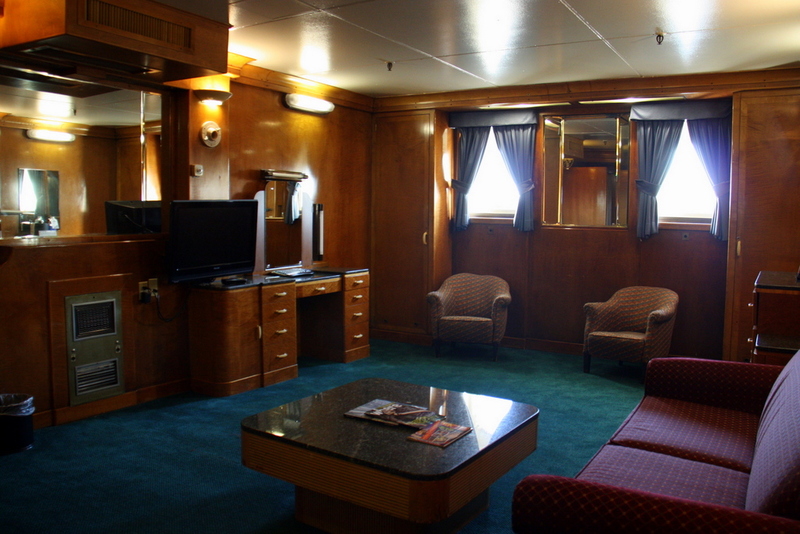 Each guestroom has updated curtains, beds, and linens to complement original portholes, light fixtures, and paneling. All cabin/guestrooms have been meticulously restored to earlier times. Some of the interior cabin hardware and wooden furnishings confirm their age – and to nostalgia buffs – that adds to the ambiance. Every piece of furniture has a thousand stories hidden in its historic facing – if only it could talk. 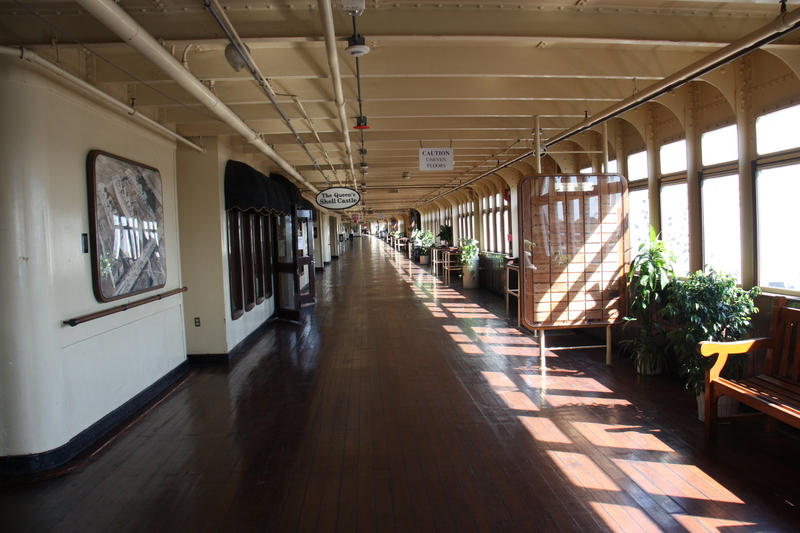 A walk around the ship is testament that the Queen Mary is the world’s largest art deco museum. Her chambers and passageways are lined with examples of 1930’s art and exotic woods – some no longer available on the world market. Best of all, she exudes the unmistakable aura of the historic times in which she lived — when the abundantly rich, and calamitously poor, worked together to forge a new world. Our sojourn on the Queen Mary was inspirational, and Mr. Will Kayne, the Queen’s acting Captain and resident historian brought each period of the ship’s history to life as we toured her well preserved interior. Mr. Kayne is a genuine student of the Queen and remembers so many interesting historical details that he could fill captivating volumes. It was a privilege to have him guide us through time aboard the great ship. We were fortunate that the Winston Churchill Suite was available for our visit. Sir Winston made three crossings on the Queen during World War II. 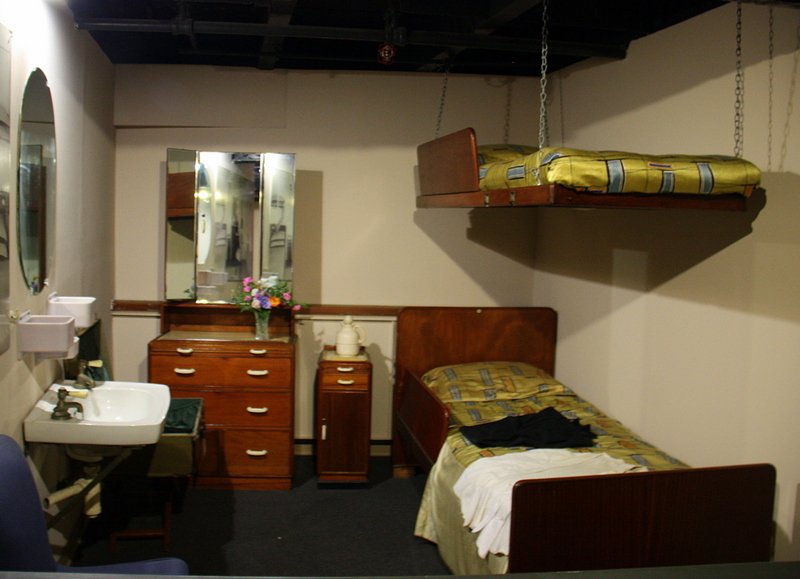 A reliable source confirmed that Mr. Churchill used his suite’s bathtub – partially filled with sand – as a scaled replica to help plan the D-Day landings with members of the Allied staff. To spend time in the very place where such epic discussions took place is a rare honor indeed. We asked Mr. Kayne why Winston Churchill did not choose a war ship to cross the Atlantic in those troubled times. “The answer is quite simple.” He went on to explain, “At the time, the Queen Mary was nicknamed the ‘Gray Ghost’ because she was painted completely gray and hard to see, and at 28.5 knots (32.8 mph), she was the fastest ship on the seas. In general, the Queen played a large part in the outcome of the Second World War. She carried nearly 800,000 troops to the European Theater, and so demoralized the German high command that Adolf Hitler put a price on her head. He would pay the equivalent of $250,000 and award the Iron Cross to the U-boat captain that could find and sink her. Miraculously, she made 72 wartime crossings without an enemy engagement. The Queen Mary was the favorite mode of transportation across the Atlantic for the famous, and the rich and powerful for 30 years. She had three levels of service. First, Second, and Third class. Each level of service had distinct amenities and separate gathering rooms. First-class passengers were accorded the most space and luxury. 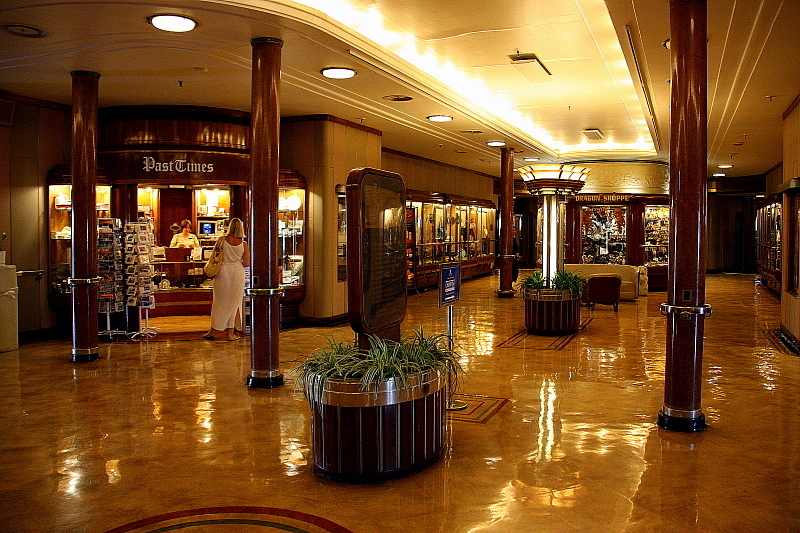 The largest room on the ship was the first-class grand salon, which was three decks high. 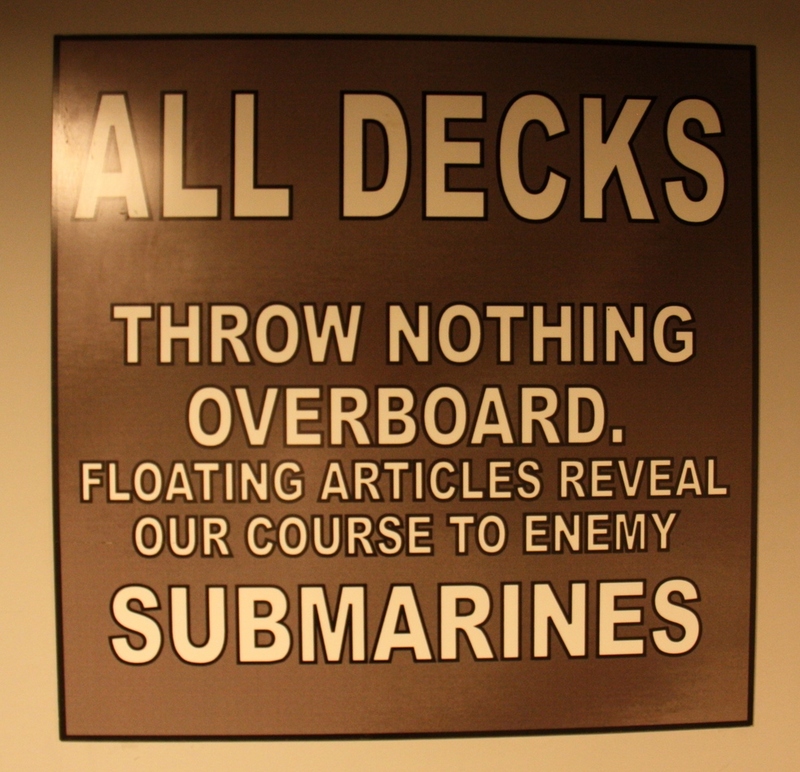 Ship’s passengers enjoyed a variety of shops, a two level indoor swimming pool, salon, nursery, library, kennel, and several outdoor deck sports. One of our favorite post-war stories aboard the Queen involved one lovable and flamboyant Wladziu Valentino Liberace. Liberace was already a famous entertainer in 1956. In that year, he was ticketed in first class and sailed during a difficult New York to Southampton crossing. All on board that particular voyage learned what his friends already knew – Liberace was a warm and generous human being. The maestro, who was one of the highest paid entertainers in the world during the ’50s, offered to play a free engagement aboard the Queen. The beneficiaries of his kindness were to be the least affluent of his shipmates. He would entertain and play one night, but only for the third-class passengers. The ship’s crew was ordered to move the grand piano from its prominent position in the first-class parlor to the relatively small and stuffy third-class sitting room. Lee, as he was known to his friends, pulled out all the stops. Everyone present said Liberace’s exalted performance was the highlight of his or her voyage on the Queen Mary. It is reported that all had a grand time – but no one as much as the gracious Liberace himself. She is 182 feet tall, which is about seven feet higher than Niagara Falls. The Queen Mary has a 118-foot beam, and that is too wide for the Panama Canal. The Queen is almost twice the tonnage and 136 feet longer than the ill-fated Titanic. Her full name is RMS Queen Mary – the RMS stands for Royal Mail Ship. In July 1943, she carried 15,740 troops – a standing world record for most passengers on a ship’s voyage. The headline entertainer on the Queen’s final passenger voyage in September 1967 was Johnny Mathis. When you are in Southern California be sure to go to see this fascinating attraction. Make reservations and spend the night if you can. Who knows what famous persons may have slept in that very cabin? There are also reputed to be over 600 ghosts that haunt the ship. Perhaps one is awaiting your visit? If you liked the Queen Mary you will also like Catalina Island. The Queen Mary is located at 1126 Queen’s Highway, in Long Beach, CA. 90802.The toll free phone number is (877) 342-0738. Check here for more information about visiting the ship. This entry was posted in Uncategorized and tagged Best California Attractions, Famous Ships, Maritime History, Maritime Museums, Queen Mary. Bookmark the permalink. 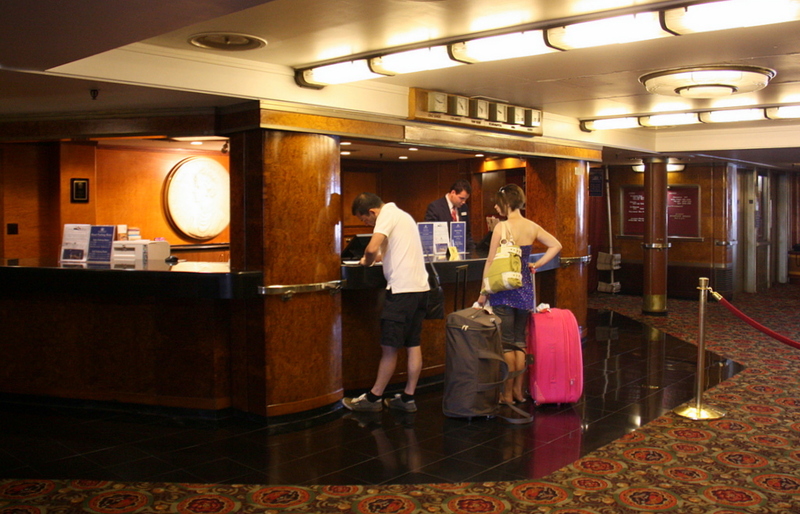 The cruise ship Queen Mary remains a classic to this day. War and the survival of the future generations to admire the beauty of this ship. Although the luxury cruise ship Queen Mary in the present but still a beautiful prominent than other ships. Thank you for your site.